Seeking a favor that will bring joy to your guests? 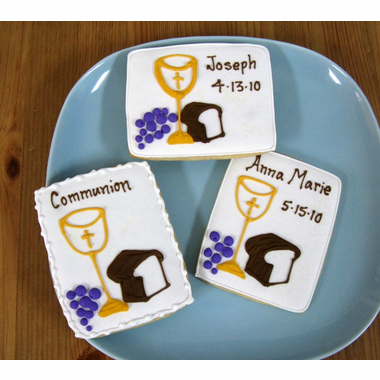 Our First Communion cookies will do just that. The symbolic bread and wine design is completed with personalization of your choice. 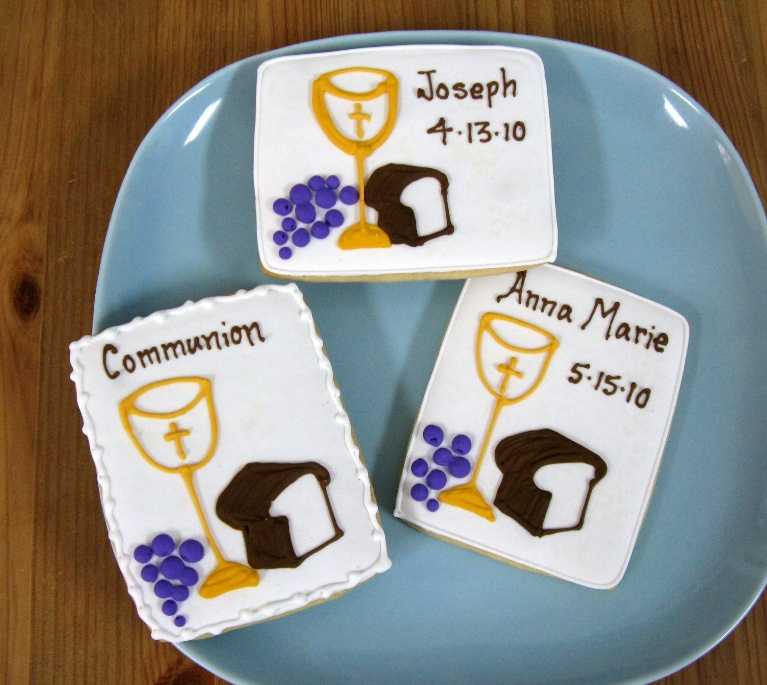 Each Communion cookie measures 4" x 3". Since there is room for about 18 characters on the cookie, most customers simply list the child's first name and Communion date.